Concerned leader: Brisbane Archbishop Mark Coleridge said the ABC have portrayed a “one-sided narrative” of the Catholic Church. Photo: Emilie Ng. ARCHBISHOP Mark Coleridge has condemned the ABC for its “antagonistic, one-sided narrative” of the Catholic Church, calling for a return to honest and true reporting of “the real Australia”. The Archbishop of Brisbane made his comments after a controversial essay published on the ABC website that explored domestic violence issues within Christian churches falsely reported that he did not respond to questions posed by ABC journalists Hayley Gleeson and Julia Baird. The ABC amended its story after an official complaint was lodged by the archdiocese. The matter was also raised on ABC TV’s Media Watch which concluded that the domestic violence story “misrepresented” research used by the journalists, particularly a 2007 paper written by Professor Steve Tracy from Phoenix Seminary. A spokesperson for the ABC told The Catholic Leader the false reporting was “an oversight” and “not the result of any dishonesty”. Archbishop Coleridge has now called on the ABC to re-evaluate its purpose as Australia’s national public broadcaster, saying it had “failed to tell the real story of the Catholic Church in this country”. “It’s time that the ABC took seriously its role to tell the story of the real Australia,” the Archbishop said. 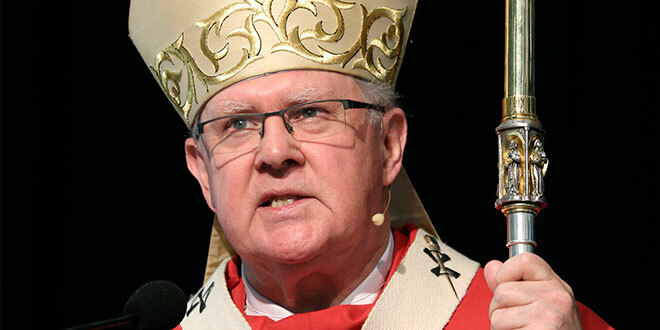 The false reporting in the controversial domestic violence essay was just one of several incidents the Archbishop cited where the ABC neglected to cover positive events and stories occurring in Brisbane archdiocese. Several months ago an ABC presenter declined to give coverage to the opening of a new church on the Gold Coast because of the results of the Royal Commission into child abuse. “They told the archdiocese that Catholics did not deserve such coverage because the Royal Commission had shown the problems within the Church,” the Archbishop said. Neglecting to report on the new church was failing to tell the wider community about a project that “provided a multi-million-dollar economic boost to the region” and offered a new meeting place for a parish with 2000 Catholic students and their families. The ABC’s handling of a segment broadcast on Brisbane breakfast radio discussing the Catholic Church’s changes to norms for gluten and Communion hosts was also “worrying”. “Earlier this month, an ABC employee asked live on Brisbane breakfast radio whether vegetarians had a problem with consuming the Body of Christ in Holy Communion,” the Archbishop said. “The ABC employee wasn’t joking. The civic contribution made by the Catholic Church in Australia is hard to ignore; in Brisbane alone the Church oversees the running of 141 schools, nearly 100 parishes, multiple hospitals, several aged-care services and social welfare services to thousands of clients through Centacare. “Each week, the Catholic Church interacts with hundreds of thousands of people within the Archdiocese of Brisbane,” Archbishop Coleridge said. The ABC acknowledged Catholics made up a large portion of its audience and that “all our reporting should be balanced and fair”. A spokesperson said it was not true that the ABC was not reporting on issues that affected the Catholic audience. They also said journalists had not been told they could not report on events occurring in the Church because of the Royal Commission.